When you purchase products on SDBullion.com, we may have to collect sales tax on some or all of the products you purchase. The amount you pay OR don't pay will be directly related to where you choose to ship the product and what product(s) you decide to purchase. This is important to note since you may be shipping gold or silver to another state you are not living in. In this case, you would be subject to the local sales tax of the state you are shipping metal to. For example, if the state you live in requires us to collect sales tax but the state you store your gold or silver in does not require us to collect sales tax and you shipped your products to your storage depository, then we would not be required to collect sales tax. Why are We Required to Collect Sales Tax? In 1992, in the case of Quill Corp v. North Dakota, the US Supreme Court ruled in favored of Quill Corp. The US Supreme court ruled that Quill Corp did not need to collect sales tax in North Dakota because Quill Corp did not have a physical location in North Dakota. Fast forward to June 21, 2018, in the case of South Dakota vs Wayfair Inc. This time, the US Supreme ruled in favor of South Dakota. The court ruled that states can require the collection of sales tax on purchases made online. At SD Bullion, we've been working hard and working with tax experts to figure out which states and products have been affected by this ruling. Below, we have tried to make it as simple as possible for our customers to understand what their order total will be before they complete their purchases. 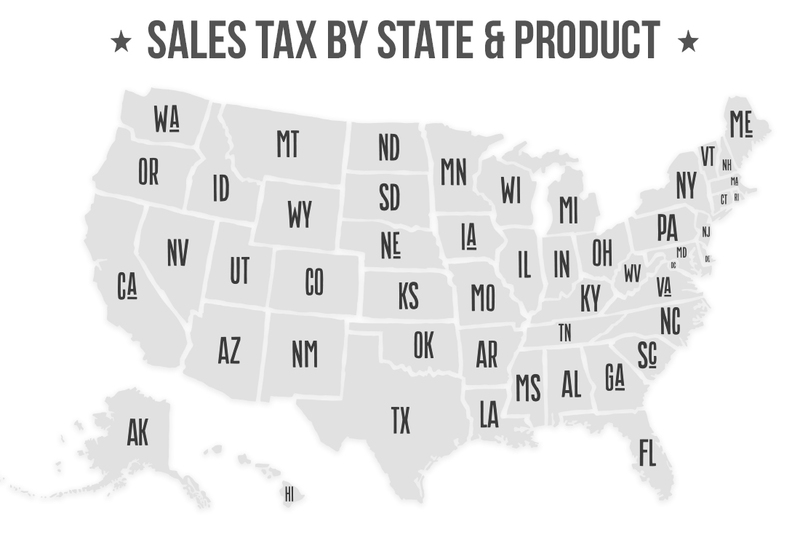 Below, we are going state-by-state to let you know what products we are required to collect sales tax on for each respective state. Before that though, please read and understand the following product type definitions. Numismatic Coins = Coins that are valued for their collectibility rather than their metal value. This would include products such as Graded Coins, or Proof Coins.